NBA Live has fallen off over the years. It was the basketball simulator to beat during the PS1 and PS2 generations, but its popularity has fallen due to a terrible reboot in NBA Elite 11 in 2010, NBA Live 13 getting canceled in 2012, NBA Live 14 ending up a disappointing package and finally NBA Live 16 selling a measly 8,000 copies in its first week. 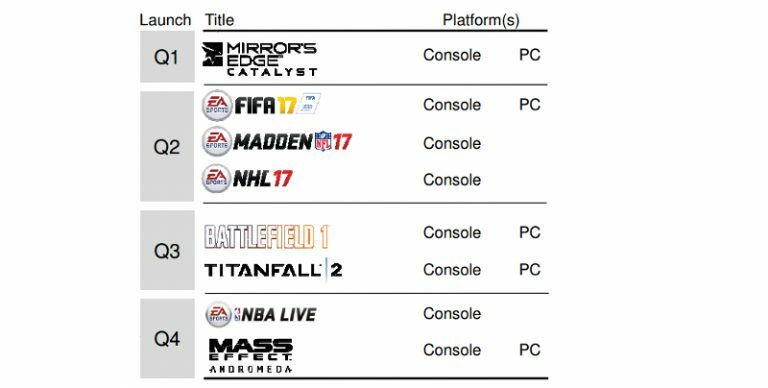 It seems there is still some trouble with the franchise as EA released their fourth quarter financials for the year and NBA Live was listed for a 2017 release date. What will become of this game when it releases? The history has not been favorable to them so a smaller scale free-to-play service could be an option.